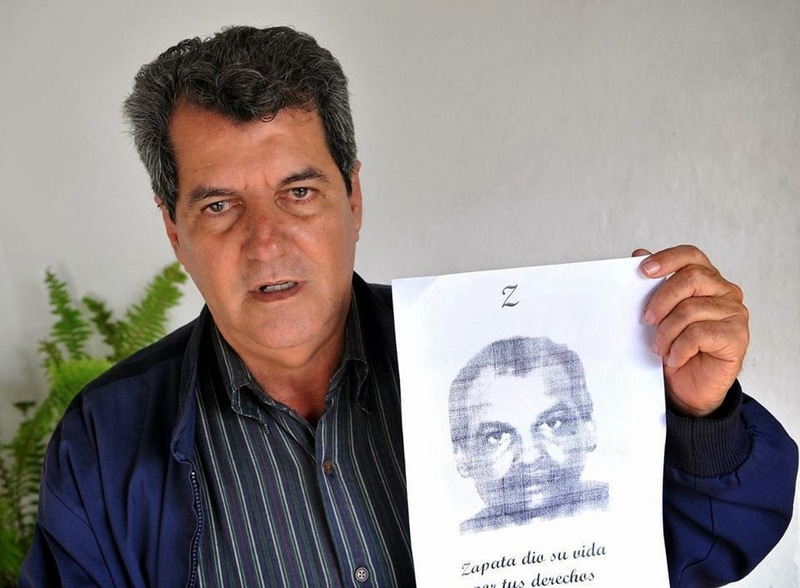 Orlando Zapata Tamayo gathered signatures for the Varela Project and was a human rights defender who gave his life in the struggle for human rights in Cuba. Oswaldo Payá Sardiñas had campaigned to save the life of Orlando Zapata making a plea over Spanish television for his life and months beforehand recording a plea from Orlando's mom for her son. Despite this the Castro regime continued to torture Orlando Zapata and on February 23, 2010 he died. Two years, four months, and 30 days after Orlando Zapata Tamayo's untimely death Oswaldo Payá Sardiñas was killed together with youth leader Harold Cepero Escalante in what appears now to have been a premeditated murder by State Security. Oswaldo's family has been calling for an international investigation for the past 19 months. Some ask what is the point of all of this sacrifice and exposing oneself to the deadly practices of the Cuban government? It's been 55 years and they are still there in power. The answer is not an easy one but it is a simple one. When children look back on this period in Cuban history and ask why did no one stand up to the cruel genocidal dictatorship that did so much harm to Cuba and to other countries such as Argentina, Venezuela, Nicaragua, El Salvador, Colombia, Sri Lanka, China, Spain, Syria, Ethiopia, and elsewhere there will be an answer that will not be shameful. As we witness today in Venezuela were tens of thousands of young people are in the street protesting the imposition of totalitarian rule in their country. In the first years of the Castro regime thousands of youths fought the imposition of totalitarianism in Cuba and were subjected to firing squads, summary extrajudicial executions, torture, and decades in prison. 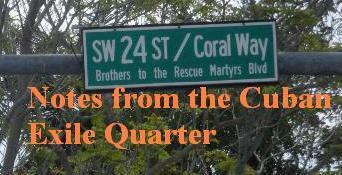 On February 24, 1996 Cuban exiles and the children of Cuban exiles flying civilian planes in search of rafters to rescue in the Florida Straits were shot down by Cuban MiGs on Castro's orders. They knew the risks and took them because Brothers to the Rescue was saving thousands of lives. Most of them Cubans. Thousands upon thousands of Cubans defied the dictatorship, and with the Varela Project more than 44 years after the imposition of the dictatorship more than 25,000 Cubans gave their names, identification numbers and home addresses demanding human rights reforms and a plebiscite. Each signer risked not only losing their jobs, being expelled from school (many where), their children being targeted for harassment but also prison as well. During the March 2003 crackdown the majority of the activists arrested had collected signatures for the Varela Project and were sentenced in summary show trials to prison sentences as high as 28 years for gathering signatures. The regime thought it had crushed the opposition in Cuba, but instead the Ladies in White came into existence and challenged the dictatorship on the streets of Havana and across the island. Having the courage not to live subjugated to a lie imposed through state terror can have dramatic consequences. Both Orlando and Oswaldo paid the ultimate price with their lives, but the alternative was to have never lived to exist in a living death obeying and collaborating with an evil system. "We have not sought martyrs because we do not use the deaths of others, but Zapata, a simple man of the people, already a hero in life, gave of himself, until dying for the freedom, rights and dignity of all Cubans."